San Francisco, Calif. (16 November 2018) Someone who normally talks about acceleration is also experiencing a little bit of it himself. 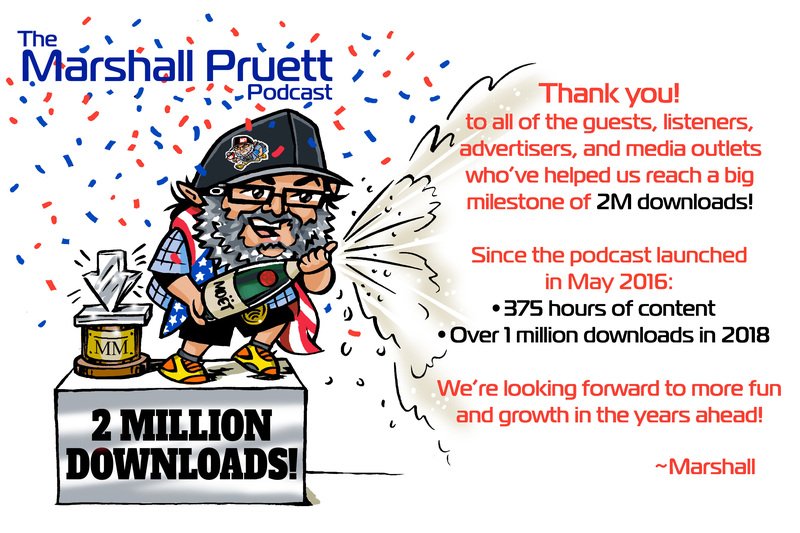 Noted motorsports journalist Marshall Pruett launched his podcast in May, 2016, and reached 1 million downloads after 17 months. Fueled by an expanded range of episodes and strong listener interaction, the 2 million mark was achieved last week, just ten months later. Pruett, whose career originated in his father’s garage and saw him establish a career as an IndyCar engineer and team manager, then migrated into journalism in the mid-2000s. That transition has seen Pruett serve as a contributor to a wide range of print, digital, and broadcast outlets. Pruett regularly covers IndyCar, IMSA, Le Mans, and vintage racing, helping the free podcast and its diverse offerings to be picked up by racing news sites as it continues to expand its reach. From the irreverent “Who the Hell are You?” series to the “Week In IndyCar,” the Marshall Pruett podcasts cover not only a wide range of topics, but also run the gamut of structure and approach. A new regular show, “The Week In Sports Cars,” debuted in February, and complements other staples like “My Racing Life and Career,” “In-Car Audio and Ambient Racing Sounds” features, “Classic Racing Stories,” and “Strangest Cars I’ve Raced” podcasts. One likely contributor to that accelerated audience growth is the high level of interaction—not something that is usually associated with the podcast medium—that Pruett and his co-hosts have with their listeners. 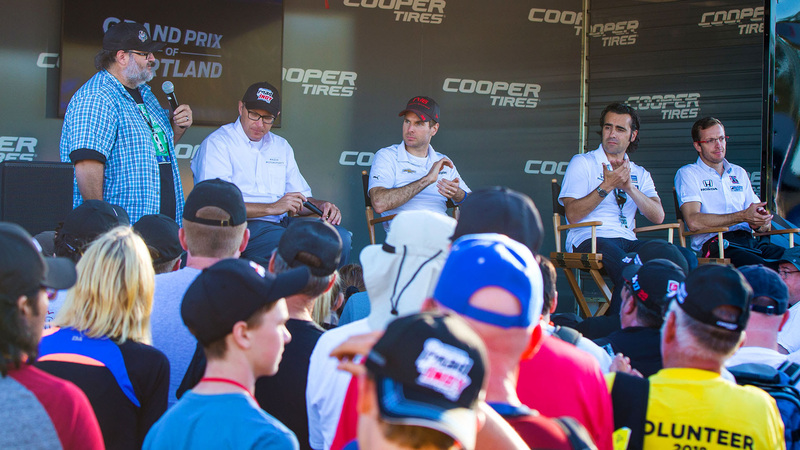 Two of his podcasts (“The Week In IndyCar” and “The Week In Sports Cars”) are almost entirely fan-driven, instigated by questions received via social media. Another addition came with the creation of live trackside podcasts held for IndyCar and IMSA audiences, with guests ranging from Dario Franchitti to Christina Nielsen who entertained hundreds of fans. The commercial aspects of the podcasts have also been keeping pace with the growing audience, as 2018 saw the series establish marketing partners for the first time with Cooper Tires joining as the primary sponsor, as well as monthly insertions by other industry leaders like Bell Racing Helmets, The Justice Brothers, and TorontoMotorsports.com. Commercial planning for 2019 is currently under way. 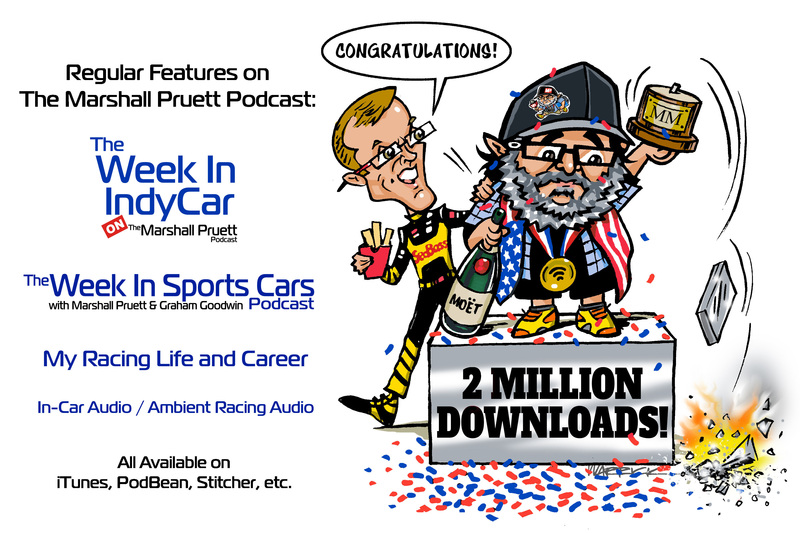 Already in production and set to launch in the coming weeks is the instructive “So You Want To Be A _______ In Racing” series and the second season of “Who The Hell Are You?” as the Marshall Pruett Podcast episode collection surges past 375 hours of content available for download. Looking ahead to 2019, a new dedicated website, www.MarshallPruettPodcast.com, is also under development. “Two million downloads is a great milestone. And crazy fast since your 2016 launch. Thanks for your dedication to our sport.” ~ Mario Andretti, 1969 Indy 500 winner, 1978 Formula 1 world champion, and the first guest on the Marshall Pruett Podcast. “Wow, 2,000,000 downloads, Marshall! It seems like just yesterday you were only at 1,999,999… In all seriousness, congratulations on a tremendous achievement. Your hard work, commitment and dedication to our sport is second to none. Here’s to your next 2 million downloads!” ~ Scott Dixon, five-time IndyCar champion. “Just a note to wish you another 2,000,000! I have to admit you have a massive knowledge of motorsport and know everyone that’s anyone, but how you retain all the details I’ll never know. It’s like talking to an encyclopedia but with humor. Keep it up. Flattering to be a minute part of your success.” ~ Derek Bell, five-time Le Mans winner. “Well done chap, 2,000,000 is a good number… Did you get $1 for each one?” ~ Allan McNish, three-time Le Mans winner.